Take control of your very own base and improve it so that it will eventually turn out to be an impregnable fortress. Call of Duty: Heroes is a strategy game similar to the game Clash of Clans. 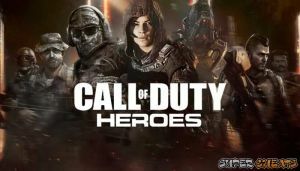 Only that in this game, you take control of popular aspects from the Call of Duty franchise like some of the notable heroes like Price, Soap, and even from the more recent games like Reaper or Outrider from Black Ops 3. The most recent update to the game includes a new game mode called Challenge Mode and winning stages of this mode rewards you with perk coins which is used in a new system called Perks. Alongside some new heroes to unlock and use, this gives a new level of customization to your gaming experience. No discussions open for Call of Duty: Heroes at the moment.